Explore New Delhi's surroundings by going to Noida (ISKCON Noida & KidZania Delhi NCR) and SPADA Sports Arena (in Gurugram (Gurgaon)). Spend the 15th (Wed) wandering through the wild on a nature and wildlife tour. The adventure continues: admire the natural beauty at Humayun's Tomb, get your game on at Barney's Den, take in the spiritual surroundings of Akshardham, and take an exotic tour of a safari tour. 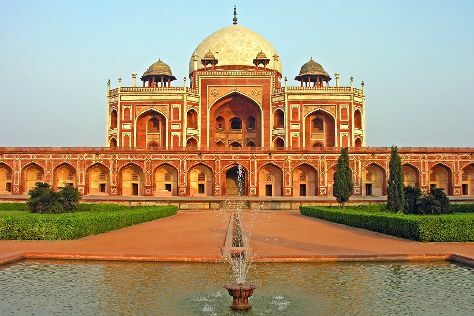 For where to stay, ratings, reviews, and other tourist information, read our New Delhi route planner. Expect a daytime high around 47°C in May, and nighttime lows around 30°C. Finish your sightseeing early on the 17th (Fri) to allow enough time to travel back home.